Useful utility for generating quick stats of any text. Text Statistics Analyzer is listed in Text Utilities category and made available by VOVSOFT for Windows. Unfortunately, we have not yet reviewed Text Statistics Analyzer. If you would like to submit a review of this software, we encourage you to submit us something! What is Text Statistics Analyzer software from VOVSOFT, what is it used for and how to use it? Analyze statistics on your character, word, and line frequency with the help of this lightweight software utility that could prove quite handy in linguistics studies. The GUI packs two main buttons, one allowing you to load your text from a file, with the other initiating the analysis itself. However, you can also simply paste your text in the main window, take a look at it and even make modifications if you consider them necessary. As for the statistics the software utility provides you with, they are offered in a new window that is organized into several tabs. The General section informs you about the total number of characters, words, and lines, as well as how many unique elements were employed in your text. Whats more, character, word, and line frequency can be interpreted as well, with each item being associated with details regarding the number of instances it appeared in your text. Besides, the frequency is also expressed in percentage points in order to have an overview of your linguistic habits. Plus, in case you consider it is more comfortable to explore the results of your quest in a CSV file, you can do that as well, with a button at the bottom of this second window allowing you to export all the data. Download and install Text Statistics Analyzer safely and without concerns. Text Statistics Analyzer is a software product developed by VOVSOFT and it is listed in Office category under Text Utilities. Text Statistics Analyzer is licensed as Shareware which means that software product is provided as a free download to users but it may be limited in functionality or be time-limited. You may need to pay at some moment to continue using product or to use all functionalities. You can run Text Statistics Analyzer on all modern Windows OS operating systems. Text Statistics Analyzer was last time updated on 01.12.2018 and it has 1,342 downloads on Download.hr portal. Download and install Text Statistics Analyzer safely and without concerns. Fixed critical bug related word recognition using different language character sets. Added save to file feature. Added vertical scrollbar into feedback window. What do you think about Text Statistics Analyzer? Download.hr periodically updates software information of Text Statistics Analyzer from the software publisher (VOVSOFT), but some information may be slightly out-of-date or incorrect. Text Statistics Analyzer version 2.0 for Windows was listed on Download.hr on 01.12.2018 and it is marked as Shareware. All software products that you can find on Download.hr, including Text Statistics Analyzer, are either free, freeware, shareware, full version, trial, demo or open-source. You can't download any crack or serial number for Text Statistics Analyzer on Download.hr. Every software that you are able to download on our site is freely downloadable and 100% legal. There is no crack, serial number, keygen, hack or activation key for Text Statistics Analyzer present here nor we support any illegal way of software activation. If you like software product please consider supporting the author and buying product. If you can not afford to buy product consider the use of alternative free products. Is it safe to download and install Text Statistics Analyzer? Text Statistics Analyzer was checked for possible viruses by various leading antivirus software products and it is proven to be 100% clean and safe. Although, no malware, spyware or other malicious threats was found we strongly advise you to check product again before installing it on your PC. Please note that laws concerning the use of Text Statistics Analyzer may vary from country to country. Please be sure that you are using Text Statistics Analyzer in accordance with the law in your country. How to uninstall Text Statistics Analyzer? How do I uninstall Text Statistics Analyzer in Windows Vista / Windows 7 / Windows 8 / Windows 10 OS? Make sure the "Text Statistics Analyzer" is highlighted and then make right click, and select Uninstall/Change. How do I uninstall Text Statistics Analyzer in Windows XP? Make sure the "Text Statistics Analyzer" is highlighted, then click "Remove/Uninstall." 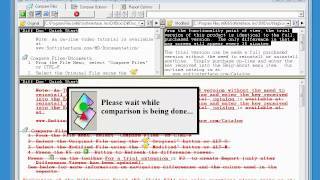 How do I uninstall Text Statistics Analyzer in Windows 95, 98, Me, NT, 2000? Select "Text Statistics Analyzer" and right click, then select Uninstall/Change.